Digital marketing with its exceptional effectiveness, measurability, reach and targeting is becoming the most preferred mode of marketing for organisations to communicate with its customer. The industry is worth 6.8 billion USD and is growing at a striking 40% when most other sectors are not able to keep up with a 5-10% growth rate. This can only mean one thing, the industry needs many more professionals with the right skill sets. Brands and marketers have large expectations from digital marketing and this is evident from the growing graph of Digital marketing budgets year on year. However the future holds many challenges. Customers are expecting a more unified experience across brands, mediums and real & virtual worlds. The customer is also well informed about the capabilities and limitations of various media and the concept of integrated or native marketing as well. To cater to the growing demands of a well-informed customer, the digital marketers need to know exactly what their needs are and how and on which medium can they satisfy them. With about 67% of internet users being online on multiple devices (mainly mobile phone, TV, PC/Laptop and tablet) this task is growing harder. The customers also expect digital marketing to accompany them through the purchase journey like blogs and emails to help create awareness, reviews, comparisons and social media during enquiries, website or other platforms for purchase and email and social media post purchase. This is only a general take and when I say purchase journey, forget the marketing funnel. The days where every customer went through a similar sort of journey that could be fixed into a model is long gone. Now each individual has his own journey and cannot be serviced by one mass approach. That is where the future of digital marketing lies. Marketing is no longer considered undesirable. Viewers are welcoming marketing content if it is relevant to them. Therefore marketers must strive towards creating value in their content. Creating and maintaining networks will be given utmost importance. Days of Communicating with individual customers are over, its now time to talk to groups. Thus digital marketers must get skills and experience in maintaining brand communities, affiliates etc. Content will remain the centre point of digital marketing, however the relevance of the content and its impact on the customer needs to be improved. Content must move from ‘selling’ to ‘helping’. Transparency will become an objective. It is no longer possible to ‘sell’ whatever the marketer wants to the customer. He is much more aware and realises when he is being exploited. Thus to maintain goodwill marketers must maintain transparency. More data driven. With more and more media being developed and consequentially more data sets being derived, marketers must use these data to reach their target customers and create an impact. Personalised targeting will rule. Though techniques like SEM, SEO, SMO etc. will remain and better position the brand to the customer or increase its visibility, various tools that are aimed at specific target groups with specific characteristics will also emerge. Digital marketing will largely be done through automation. Though campaigns maybe planned or spearheaded by marketers, the execution maybe done by software’s. 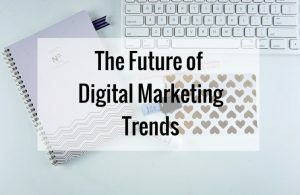 Thus digital marketers must train themselves to think and approach a problem strategically rather than think about its operational implications. 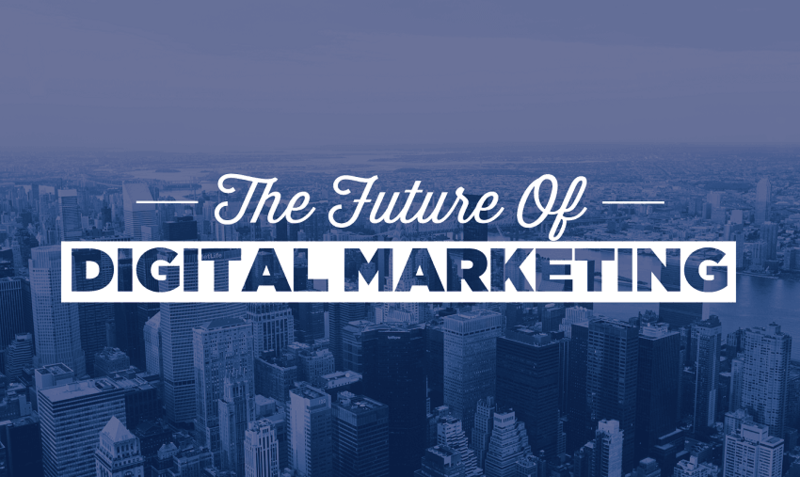 In general we can say the future of digital marketing is in constantly evolving and staying agile. To cater to customers who are constantly evolving, so must the marketers. As media, tools, channels etc. change rapidly marketers must adapt and gain skills to keep up. And what holds true through time infinite and you as a digital marketer should always keep in mind is, it’s not about the changing channel or media, it’s about the people you are talking to. This entry was posted in Digital Marketing and tagged digital marketing course in kochi, digital marketing training courses. Bookmark the permalink.